We were given product for the purpose of review. All thoughts and opinions are my own! I have been sharing Skylanders games with you for years. What this really means is that my son has been interested in, and kept interest in, Skylanders over the course of several years. He has been playing Skylanders for as long as I can remember. He loves it and they keep coming out with new versions that keep that interest going. 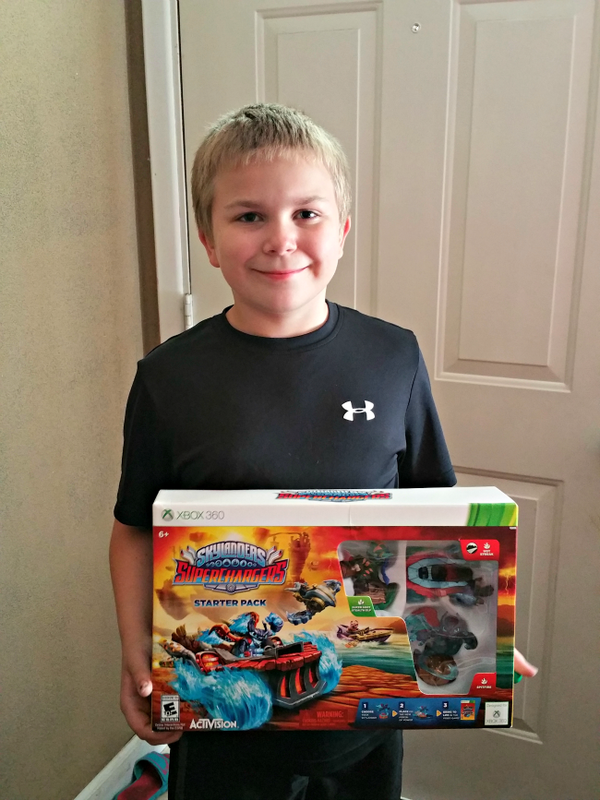 We were sent Skylanders SuperChargers, the newest version of the Skylanders game. Johnny was so very excited to get this in the mail and instantly pulled it out to play. We decided to play this version on Xbox 360 instead of the Wii but both versions (as well as other platforms) are available. We just decided to let Johnny play on the big TV so he could enjoy the graphics even more than before. 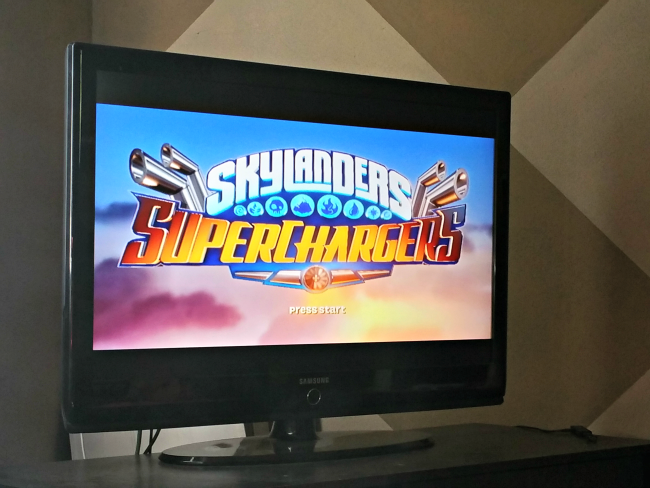 We were instantly pleased with the graphics and bright colors of Skylanders SuperChargers. With each new game version it gets better and better. Johnny watched the beginning story and jumped right into the game. That is something else we love about Skylanders; whether playing for the first time or are a seasoned Skylanders player, you will have no trouble learning the ins and outs of the game. It gives you direction as you play and is easy to pick up on. Skylanders SuperChargers is so much fun! You can use all of your old characters and traps but there is a new addition too! With Skylanders SuperChargers, you have vehicles that you can place the characters in to travel over air, water, or land. Each SuperCharger has their own vehicle that gives them more power. 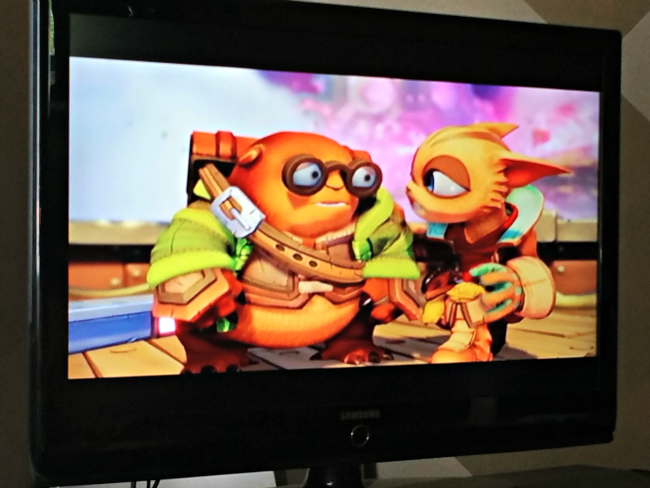 You will also find new characters with Skylanders SuperChargers as well as a new mode to play. We only have a few vehicles (the ones that come with the set) but Johnny is so excited to buy more. He wants to improve his game and have fun doing it. 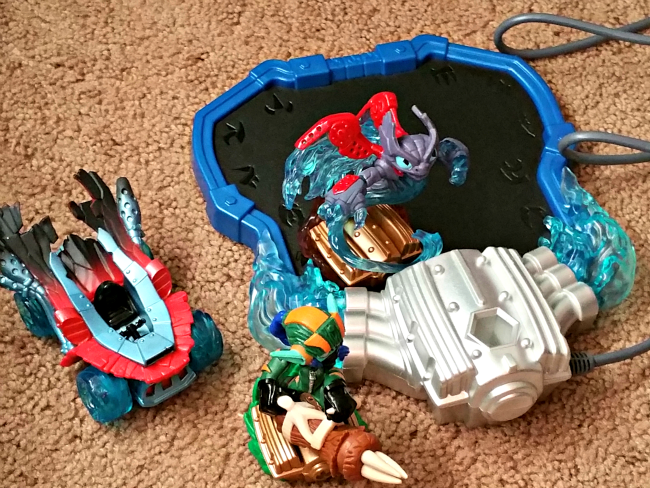 We recommend Skylanders SuperChargers for both boys, girls, and adult gamers. 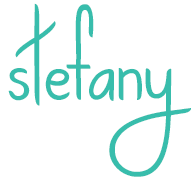 You won’t be disappointed with the graphics, the story, and the characters. It sounds like this will be a hot item this year for Christmas. I’ll have to look for it. These little toys and games are all over the place. I wonder if my boys would like this! My son really wants to start playing skylanders. I may get this for him for his birthday to get him started. I know some little boys who would love to receive these toys for Christmas! Looks super fun. This looks like such an awesome game. My son is just starting to get into gaming so I’ll have to check this out for him.